Moriba Jah, an associate professor in the Cockrell School of Engineering’s Department of Aerospace Engineering and Engineering Mechanics at UT Austin, made history this year as the first aerospace engineer ever to be selected a TED Fellow. As a TED Fellow, Jah joins a class of 20 carefully selected visionary speakers from across the globe who will deliver talks on the TED stage this April in Vancouver. The TED Fellows program, founded in 2009, is highly competitive and consists of over 400 cross-disciplinary visionaries across 96 countries. Fellows are selected based on their innovative approach to solving the world’s toughest problems, their remarkable achievements and their strength of character. The program’s mission is to bring together international young innovators from a variety of disciplines to raise global awareness of their work and to create positive change around the world. Fellows include engineers, scientists, doctors, activists, artists, entrepreneurs, inventors, journalists and beyond. Jah, a self-proclaimed “space environmentalist” who has been working on the problem of “space junk” orbiting Earth for over a decade, was selected for his research in astrodynamics regarding space situational awareness and space traffic monitoring and control. His research group at UT Austin’s Advanced Sciences and Technology Research in Astronautics (ASTRIA) program recently developed ASTRIAGraph, the first searchable knowledge graph for space traffic monitoring which combines multiple sources of information about space debris orbiting the Earth. 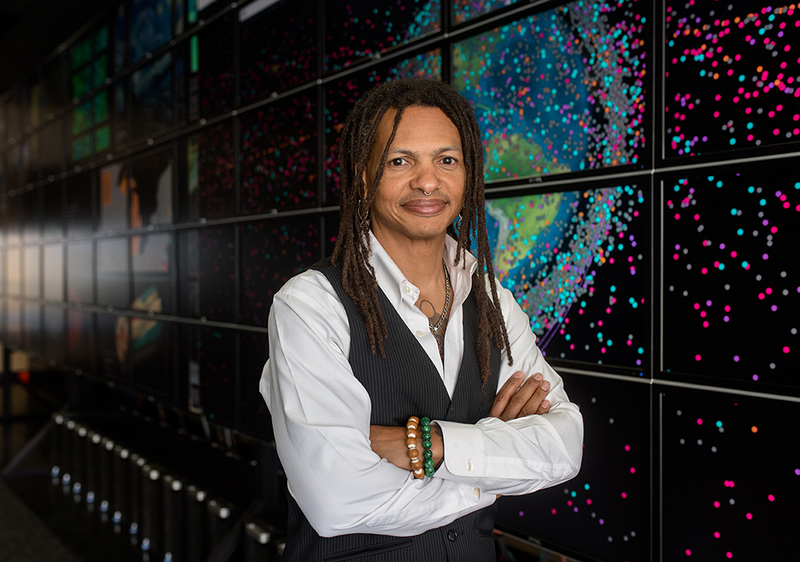 Working with experts from across a variety of fields, Jah's ultimate goal is to find a global solution to tracking and managing the nearly 500,000 objects that are currently orbiting the planet. Ranging from the size of cell phones to large satellites, only 23,000 of these objects are currently being tracked, many of which are small satellites used for cell-phone signaling, weather forecasting and more. Jah says that if the space debris issue isn’t addressed and monitored at an international level, more space collisions will occur which could cause compounding issues with space exploration, operations and commerce. Jah joined Texas ASE/EM in 2017. He is also a core faculty member of the UT Austin Institute for Computational Engineering and Sciences (ICES). Read more about his crusade to inform the public about the growing space debris issue in the Texas Engineer.